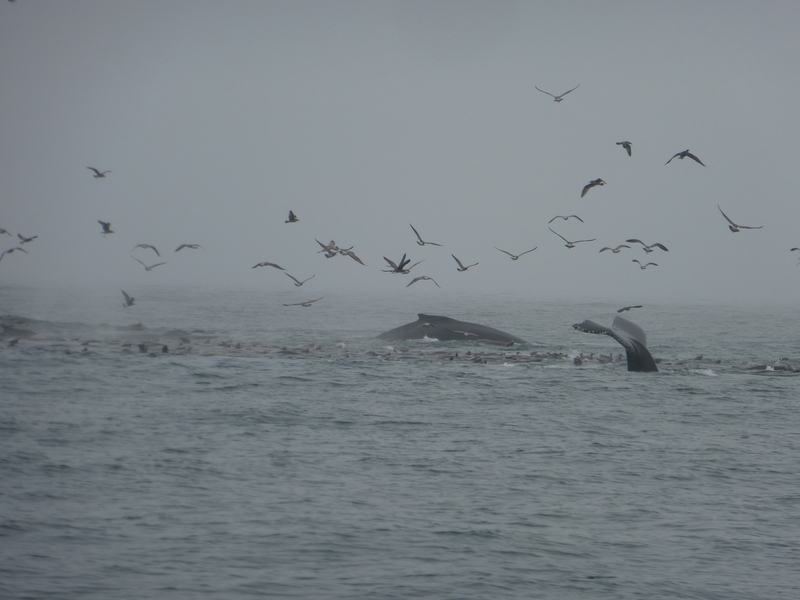 Here are some snaps and three videos of our whale-watching trip on September 5 in Monterey Bay. 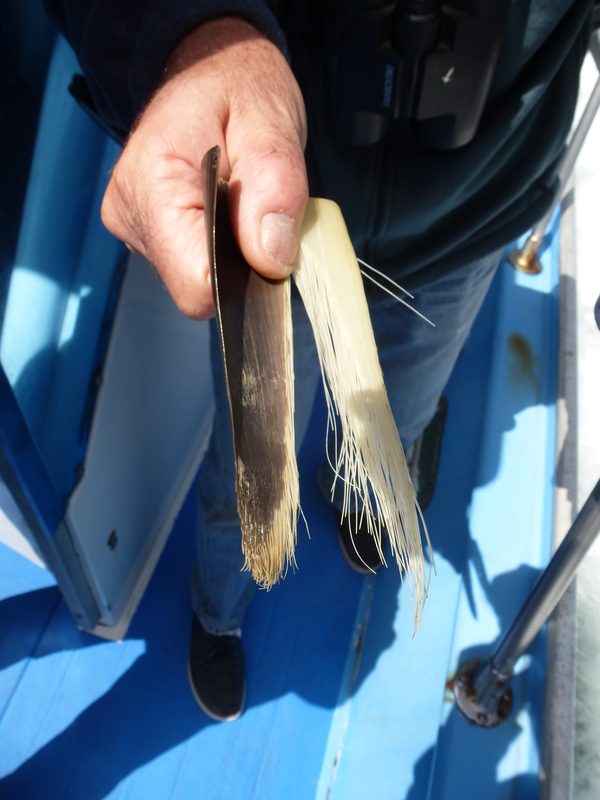 I’ve written about it before, and showed a few videos, so here are a few ancillary snaps and a video showing the (short-beaked) dolphins porpoising by our boat as well as several big humpbacks surfacing while feeding. 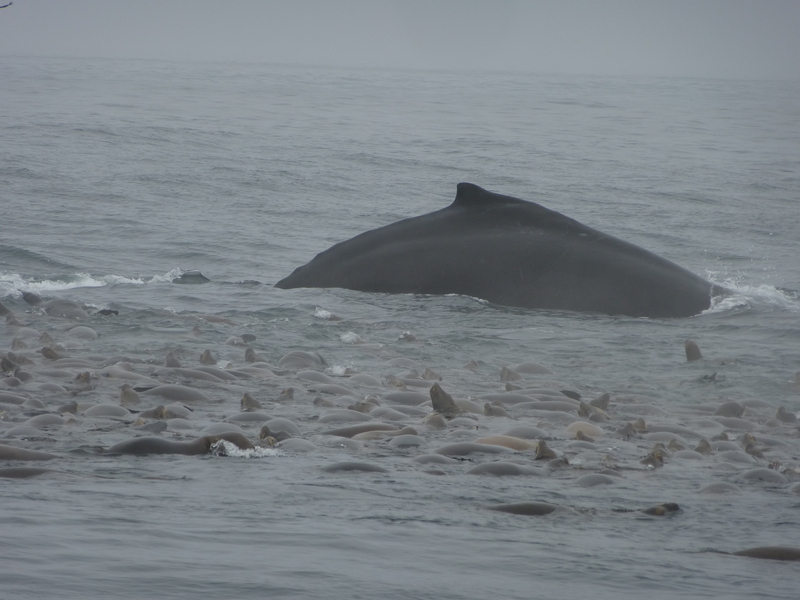 I still find the carpet of sea lions and birds that appears just before the whales one of the most amazing sights I’ve seen in nature. 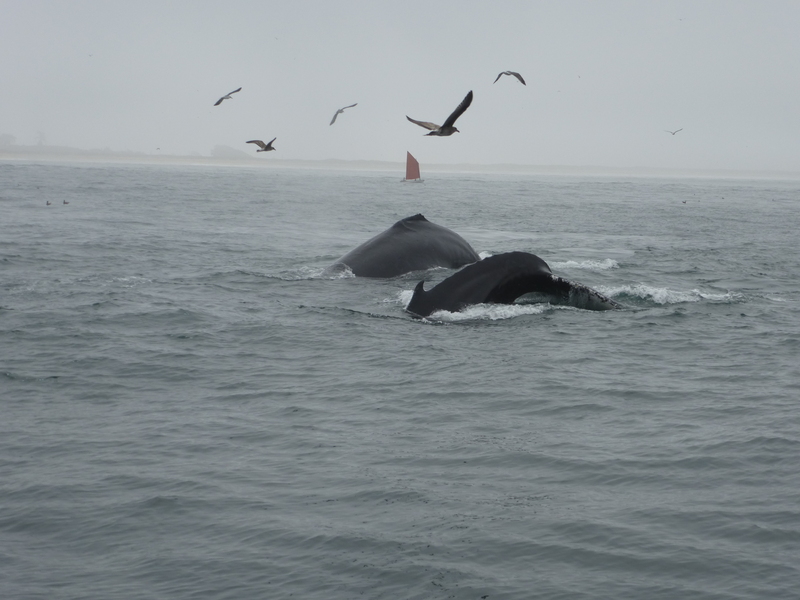 I also put up some better whale photos taken by Bruce Lyon (see here). 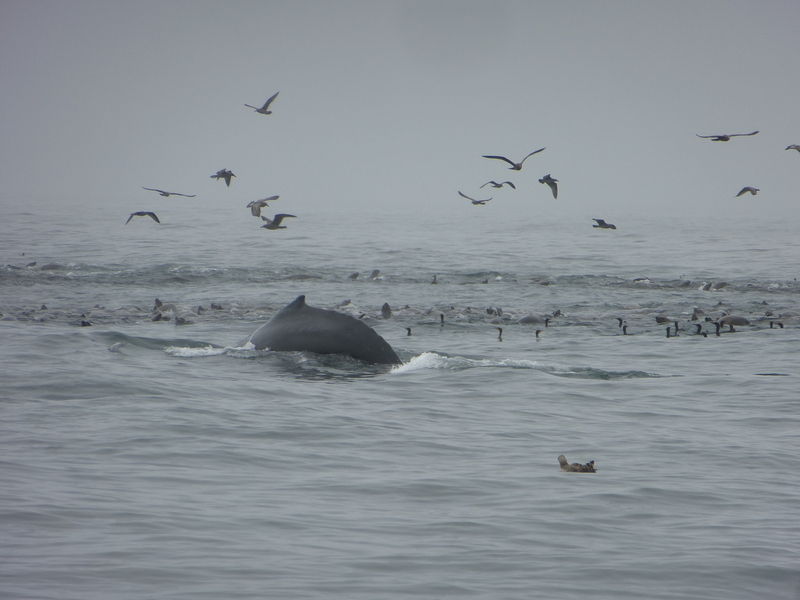 The whales are after a big school of anchovies. 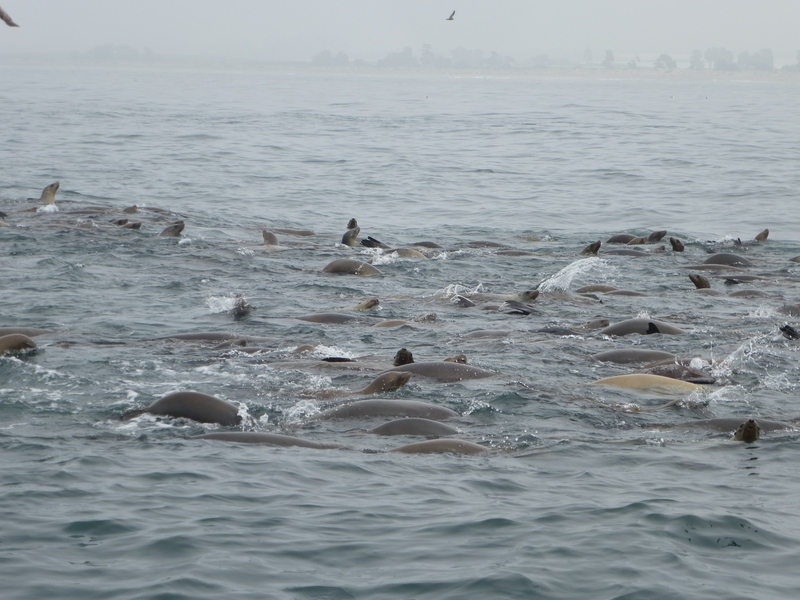 This is almost solid sea lions! This entry was written by whyevolutionistrue and posted on September 21, 2018 at 7:30 am and filed under birds, mammals, photography. Bookmark the permalink. Follow any comments here with the RSS feed for this post. Both comments and trackbacks are currently closed. if Dolphins “porpoise” do porpoises “dolphin”? Great stuff! Wish I was there. What a wonderful trip and an amazing sight! I keep thinking that the seals will be swallowed by the whales.